I am sure most of you must have heard about vision or mood boards. The things we visualize become reality faster than we can imagine. I always write my goals, wish lists and stuff I truly believe in. I never write or visualize situations and things that I feel are hard to accept. Because once that fear sets in, its very hard to make that wish a reality. So the way to make your mood board or vision board a reality, visualize things that you believe are attainable in the near future. You know how they say that you become what you believe and it’s not that you become your beliefs by repeating that stuff to yourself. You have to act according to your beliefs. For instance, people who believe their faith(iman) is strong are least likely to complain and victimize themselves. I have also made my life vision board but I don’t think that sharing it on a public platform would be a good idea. 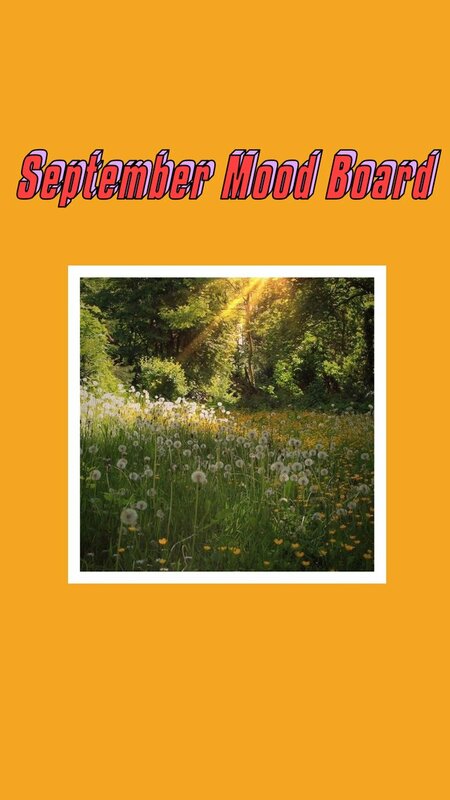 However, a monthly mood board now and then is somewhat low profile and a great way to inspire my readers to do the same. 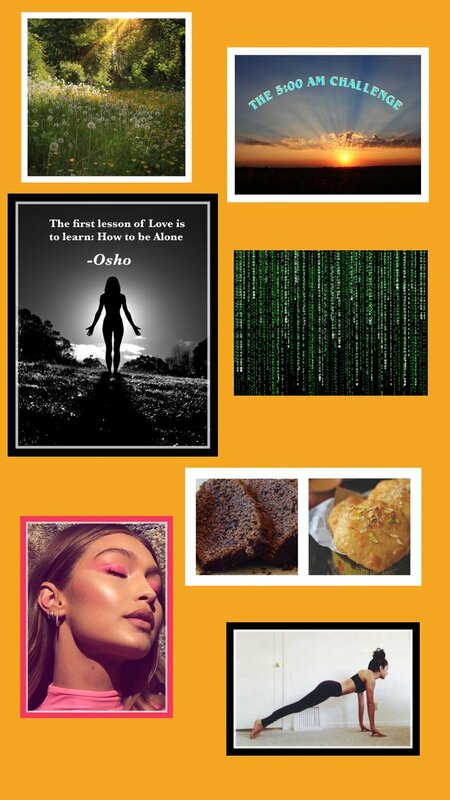 I like making a digital mood board so I can visualize by putting it as my laptop and phone screen wallpaper. But for a digital mood board to work, you have to stop stimulating your senses with thousands of pictures on a daily basis. These things work for people who are good at focusing and filtering out distractions. If you check your Instagram or Facebook 200 times a day then please don’t attempt at making a digital mood board. A physical mood board might work better but ONLY if you are looking up. I hope you get what I mean. Wanting to experience more of nature in the early mornings or evenings. The picture of greenery you see on the top left corner depicts what I want to surround myself with. I challenge myself to start my day as early as 5:00 A.M. Most of you would already be waking up at 5 am owing to your day jobs. I don’t have a regular job but I work every single day and I want to challenge myself to start my day as early as 5 am so I can make room to relax more in the evenings. I read this quote whenever I am down and it gives me immense strength. Love in its truest essence is inward. If you can’t deal with being alone, you don’t know what love is. Learning to enjoy your own company without any distractions will teach you more about love. Love is unconditional, forgiving and very patient and if you can’t be patient and forgiving to yourself, how can you expect it to manifest once you are in relationship with someone else. My body vision is to make it real strong and I have already made my schedule to workout 30 minutes every single day. The last picture in the bottom right corner is a girl doing planks. I want to do exercises that strengthen my core and shoulders. Planks, push-ups and arm circles are included in my everyday exercises. I am mostly sporting deep plum liquid lipstick these days but I want to wear pink eye shadows and frosty pink lipgloss for the month of September. I am craving home-made mawa kachori and chocolate banana bread. I’ll definitely share one of the recipes here on my blog.